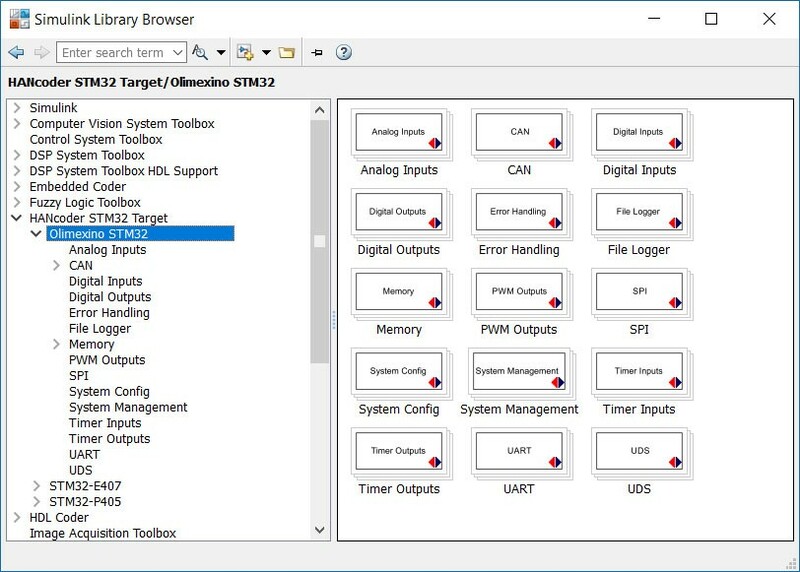 Open the ‘HANcoder STM32 Target’ toolbox by clicking on it. If the library isn’t visible try refreshing the library tree view by pressing F5. If there is a Pop up bar that says ‘Some libraries are missing repository information. Fix’ Click on Fix. Turn on ‘Generate repositories in memory’ in the pop up. When the HANcoder STM32 Target expands the HANcoder blocks for the compatible STM32 development boards are visible. To the right, the content of the toolbox is placed. This content is sorted in a tree like view for easy access. Use the help files to determine the proper use of a block. These are accessible by right clicking on a block and then selecting “Help”. The best option to define the parameters is by using m-scripts. An m-script is useful for a series of Matlab commands. In HANcoder an m-script is used for defining both signals and parameters. The template model automatically calls the startup m-script when it opens. This is done by adding it to the model properties: callbacks. 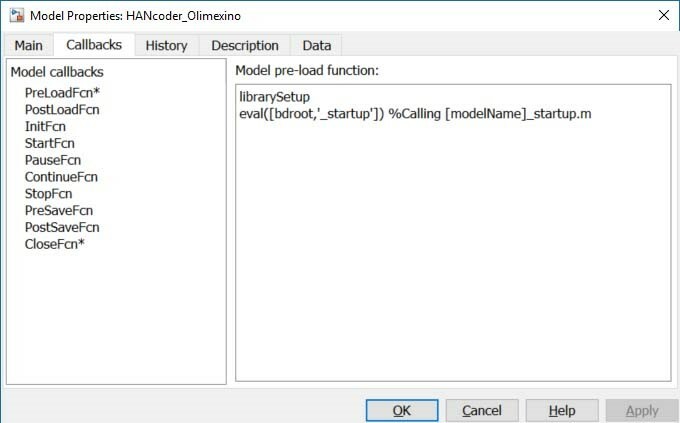 Go to Simulink model -> File -> Model properties -> Callbacks. The Model pre-load function runs every command that is written in the section before the model starts. It is advisable to define all parameters in the startup script. 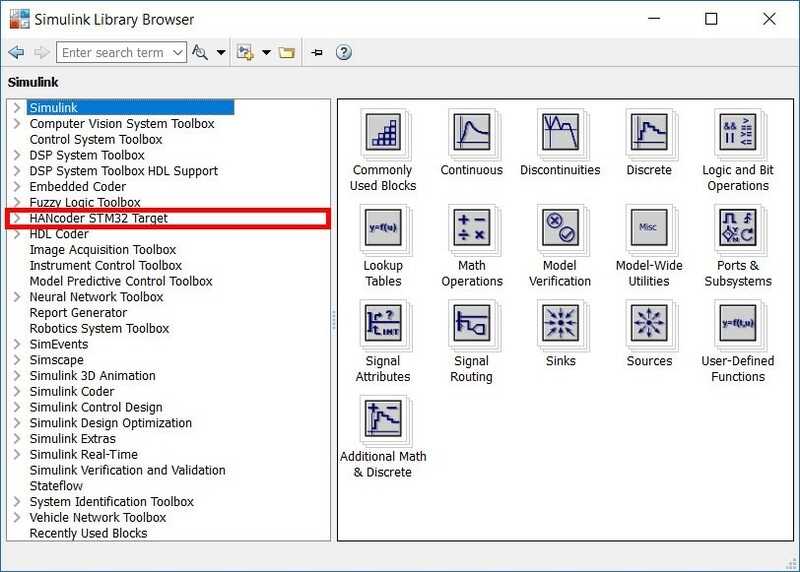 If this is done, the parameters will be added to the workspace every time the model is opened. When a parameter is added in the m-script, the m-script can be run manually by clicking run. The parameter will be added to the workspace. Signals and parameters can be added in this file. If the storage class is set to ‘ExportedGlobal’ the value is set as a global variable. In that case the signal or parameter can be seen or edited by HANtune.